Vast Resources has reported similar grade of copper and zinc from exploration drilling to those recorded from mining at the Manaila polymetallic mine in Romania. The junior is exploring to establish a JORC compliant resource at the site by the end of this quarter. Drilling around the open pit workings indicated roughly similar grades or better for copper and zinc. No new details of gold and silver grades were given. Roy Pitchford, chief executive, said: “These are encouraging results and are expected to increase the open cut and underground mine life at Manaila. 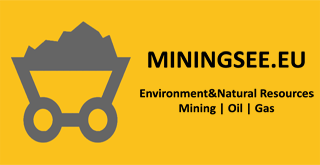 “Extending the mine life will add further impetus to the concept of establishing a metallurgical plant at Manaila to avoid the haulage of ore and tailings to and from the metallurgical facilities at Iacobeni.